This is going to seem like it’s coming out of left field because I’m actually an extreme introvert who has to practice being personable and practice engaging with people. I’m going to talk about why I love conferences! It takes a lot of energy for me to be engaging with people, but it is so worth it. It’s worth me coming on camera right now to talk to you about this instead of sitting in my bean bag. Quite simply, conferences are where the magic happens. If you’re reading this, you’re probably not in the most normal of situations. I help people who have an entrepreneurial spirit forge their own path. I help them make sense of the business world and make a living doing what you love to do. You probably don’t have many people around you that are in a similar situation. That’s what makes places like the seanwes Community so great: you can interact with people who share the same struggles and challenges and get help from people who have been there before. Conferences are like the Community on fire! It’s everything that’s great about connecting with like-minded people, but in the flesh. It makes it so real. These people aren’t just accounts with followers or images of work on a website—they’re real human beings! People have personalities and character that are really difficult to get a sense of on the internet—especially when they don’t podcast or do videos. I’ve had some of the best conversations and experiences in my life over meals, coffee, on quiet balconies, or park benches just at conferences. I say this with the utmost sincerity, as an introvert, that conferences are one of the best values you’ll ever get. They seriously do not charge enough for conferences. I know you might be concerned that it may be expensive, but think about the kind of people who made the commitment to go and pay those costs. The fact that conferences cost money is keeping the quality of the attendees high. If you’re introverted like me, it’s going to be a challenge the first or second time you go to a conference. Let me rephrase, it’s going to be a challenge every single time, but it will be the best thing you ever do. If you’re taking the time to get off work, travel, and go to a conference, you better believe you need to make the most of it! Remember, there are a bunch of other people in the same place as you: scared, timid, and going for their first time—engage with them! Sometimes they just need a little coaxing too. Strike up a conversation with someone. You never know what kind of conversation you’ll end up having! It could have a huge impact. Make time for each person. One of most important things is making time for each and every person you talk to. I’m not talking about making time for every single person there, I’m talking about making time for the people you do talk to. Be all about that person. Let them know you’re listening. Don’t glance at your phone or look over their shoulder because that communicates to them through your body language that you’re looking for the next and better conversation. Invest in them. That will make a good impression. Not only do you not know whether the next thing that comes out of their mouth will be potentially life-changing, but you also don’t know the next person they’ll talk to. What was their impression of you? What are they going to say about you? That goes a lot further than just one conversation. You might think that you should try to bounce from person to person to hit as many people as you can, but less is more. Engage with one person until they’re done talking. If you’re the one cutting off the conversation, guess what they remember? They remember that they talked to you until you had to go back to the hotel. They remember that they talked to you until you said you needed to meet someone else for dinner. Think about the difference in experience when the other person is the one to end the conversation. They’re not remembering the reason you cut it off or left, they remember the experience. A small handful of deep conversations is better than a bunch of surface-level chats. It’s going to make your experience a lot more memorable and enjoyable. It’s about depth. Getting to know people in a more personal sense allows you to encourage them in ways you wouldn’t otherwise be able to. People don’t go to conferences to be promoted to, they go to make personal connections. They go to have great conversations. The primary purpose of a conference is not to market yourself. You don’t want to bring some auto business card shooter to spray pieces of paper in people’s face with your website plastered on them. Talk with people. Sure, give them a card, but do it afterward. Don’t be fake. Don’t be pushy. You want to be engaging and personal. Be a good listener. A simple tip: ask questions. It sounds obvious, but most people don’t do this. They talk about themselves. If all you do is talk about yourself, that leaves a bad impression. Conferences are awesome because you get to connect with people who do what you do but it’s also super cool to meet people you look up to or follow online. Don’t make your conference experience about getting validation from your heroes. If you get to meet someone you like, that’s awesome, but don’t worry about whether they think you’re cool or like your work. I used to struggle with wanting validation from my heroes. I looked up to people online and I was very concerned with having them like me, or follow me back, or think I was cool. I felt like if my heroes just validated me then my existence would be worthwhile. As I matured, I realized that’s not what it’s really about. It’s crazy because not only did my heroes and the people I looked up to eventually validate and commend me on what I was doing, but not long after, my audience and exposure grew to be even farther beyond theirs! What a humbling experience. I realized it wasn’t about getting them to notice me. They played their part: their part in my life was inspiring me. They inspired me through their work and their words and that motivated me. As a result, I then began to inspire others. You are an inspiration to someone. No matter where you are, who you are, or what you’ve done, you are an inspiration to someone. Someone is looking up to you—that’s who matters. Let your heroes be your heroes. Don’t worry about acceptance from them. If you get to meet them, say thanks. Thank them for their inspiration, then go pay it forward. If you’re a person who’s creative or a person who wants to be creative (or just be around awesome people), I highly recommend Creative South. I’ve been a couple times in the past and I’ll be going again this year for my 3rd time. 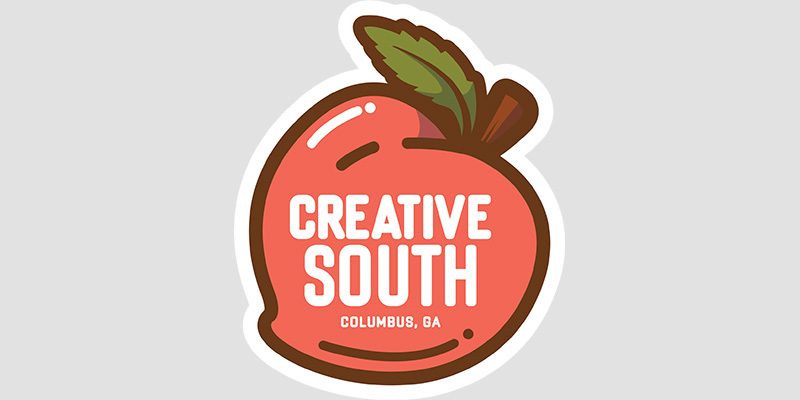 Creative South is April 9th-11th this year in Columbus, Georgia. It’s the most personable, down-to-earth, ridiculously-friendly conference you’ll ever go to. It’s one of my all-time favorites and I couldn’t recommend it higher. With that said, I will be speaking there but that’s not the reason you should go. Honestly, I wouldn’t even say it’s about the speakers—it’s about the experience you get with other attendees. This is why it’s so hard to capture the full conference experience in a video. The conference videos often only ever capture the speaking and sessions, not the awesome conversations you might have over a meal. What I remember most, and what you’ll take away, are the conversations and experiences outside of the sessions and speakers. I’m pretty excited about Creative South. A lot of really good friends are going to be there, Laci and Cory are coming with me, and we’re going to have about a dozen Community members that are making the trip out, so it’s definitely going to be a blast. In preparation for a conference, there are a few things you want to work on. You’re going to end up answering that question about a hundred times over the course of a few days. This can be a really difficult question to answer if you have a crazy situation like I do and you’re doing a bunch of things. The best recommendation I have for you there is to go watch the episode where I broke down how to tell people what you do (Related: tv009 How to Tell People What You Do in 90 Seconds). There are a ton of helpful tips for helping you craft a highly condensed narrative that you can deliver from memory. If you want to stand out, you need a unique twist. Everyone has a business card. What can you do to set yourself apart? A cheap business card is worse than no business card. First impressions are key. In the past, I’ve given out over $5 worth of goodies to every single person I met. It sounds crazy, right? But think about the impression that has when they get this bundle of awesomeness from me compared to just a business card. Sure, it’s expensive, but nothing beats brand perception. You never know when someone might think of you later because of an impression you made and what kind of effect that will have. Sketchnotes are essentially just a fun way to take notes that combine writing, lettering, and even illustrations. You can get creative with the style, the tools you use, and even color. You’ll remember the things you write, but you’ll remember the things you sketchnote even better. Don’t worry if you’re not that great. The sketchnotes you take don’t have to be “Instagram worthy.” It’s just a great way to remember the talks and sessions you saw at the conference. There’s something about the hand-drawn, visual medium that really brings back the experience. Hope to see you at Creative South! If you are, be sure to leave a comment on YouTube.